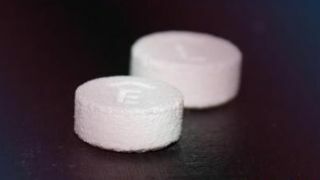 The US Food and Drug Administration (FDA) has approved the first-ever 3D printed drug, and it likely won't be the last. Spritam is an epilepsy medication used to treat seizures in children and adults. It's porous thanks to the 3D printing process, allowing it to quickly disintegrate with a sip of liquid, even in large doses. The pill is easy to take on the go since there's no measuring of medication. Aprecia, which makes the drug, noted Spritam is designed to help epilepsy patients adhere to their treatment regimen and should help children and seniors in particular. Because Spritam dissolves so rapidly, patients who have problems swallowing (or children who are reticent to take their medication) can take it more easily. Aprecia uses its own ZipDose Technology platform to make the drug. Combining "formulation science" with 3D printing technology first developed at MIT, the company can make porous medications that disintegrate rapidly with very little liquid. Aprecia plans to make more 3D printed medications for the central nervous system, manufacturing them on its own proprietary equipment. Spritam is expected to be available in Q1 2016.